I wonder if that's why Amazon was selling "The Departure" several weeks early here in the states? Mine shipped on January 14. It's a shame - Nightshade also published another series I really liked, George Alec Effingers "Buyadeen" trilogy. They had been out of print for over a decade when NSB rereleased them, and I was very glad they did. 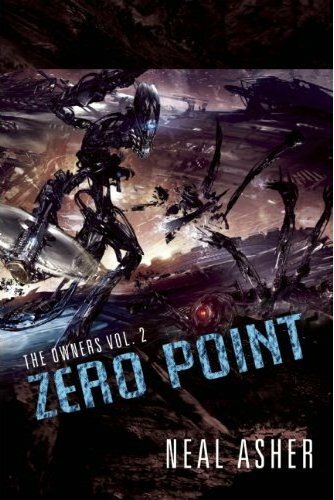 Any idea what this will do to the publishing of the other two "Owner" books? I already have the second one preordered. Sorry to hear about the trouble you and a lot of other authors are having with NSB. It sounds like a real dilemma, if you decide not to agree a new contract for the take over are you free to take the books that were published by NSB to other publishers? And another quick thought, if NSB is taken over but you don't sign the contract would you be able to put in a legal claim with the new owners for the money that you're owed? Next guy ... I don't know what the situation will be with the Owner books until Macmillan tells me. James, if a publisher stops publishing a book the rights usually revert to the author. However, if NSB goes bankrupt the books might be viewed as company assets and end up in a legal tangle. Anyway, that's what I'm hearing. And no, the new owners would not be so daft as to open themselves up to that. My concern with the new guys is that their terms seem very sharkish, so who is to say they will be around for the long term. Personally let Macmillian have a look, see if they can get the rights back, and offer them a better deal on those 2 books. Neil, the point here is that Macmillan have the British and foreign rights to those books. If they had the US rights it would just be a case of them selling them to a US publisher, if they can find one and while taking their cut. They would not be publishing the books in America. I would have thought that if you bought a company that had contracts thus buying those existing you would have to honor those contracts as is . Guess not . 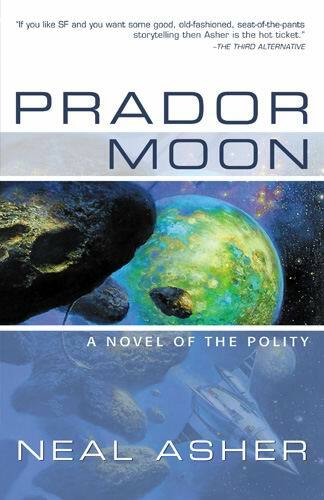 I could see letting Zero Point & Jupiter War come over to the US as loss leaders to get more exposure to Americans - especially for people whose first Asher book was The Departure & are looking forward to the sequels (Although I already have Zero Point - thanks Neal! )My lady pointed out that she & many people she knows discover new to them authors while browsing the bookstore & noticing cover art that catches their eye . 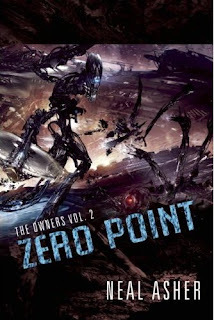 With Jon Sullivan I am sure the Zero Point cover will make many prospective readers take a second at your book . If you do sign you may - emphasis may - get the royalties you are due. But you could easily lose down the line on future royalties from print, audio and ebook sales. If you don't sign you might get only a fraction of your royalties to date if the company goes bankrupt (I would assume you'd be an unsecured creditor) - but you might regain all rights to your work and generate a higher income in the future. Only you know the financial aspects of the choice but assuming that you are going to be productive for a good number of years to come your back catalogue is going to be an increasingly valuable resource. You should be controlling that, not a pair of companies whose intentions might be good - or might not. What you can't afford to do is to personally get heavily involved with the American legal system. It seems to be a very good way of ensuring that the best way to make a small fortune is to start with a large one and get the lawyers involved. Let MacMillan take the risk. Tasty Rabbit, you're missing the point. 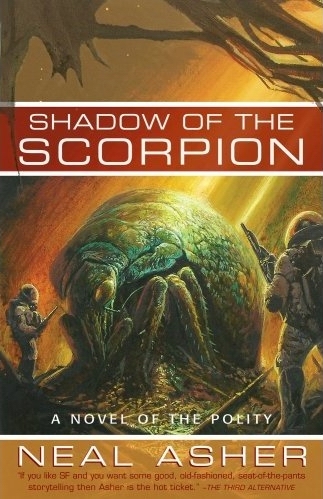 It was not Zero Point & Jupiter War I was looking at as loss-leaders but Shadow of the Scorpion & Prador Moon. The Owner series is being dealt with by Macmillan. Trainer John, Macmillan can't take the risk on the two older books I mention above because they don't have US rights for them. I sold them direct. As for my back catalogue, they are two books, only in the US, out of twenty thus far. And, unless I somehow lose my ability to write, I intend continuing to do so until they nail me in a coffin. Well, rather than order "Jupiter War" from Amazon.com here in the USA, I went ahead and placed my order with The Book Depository. It's a few days more shipping, but I know I will get it if US publishing doesn't happen or is delayed. I hope the NSB problem works out to your satisfaction, Neal.